13 Nisan 2019 Cumartesi 08:00 - 1 reads. 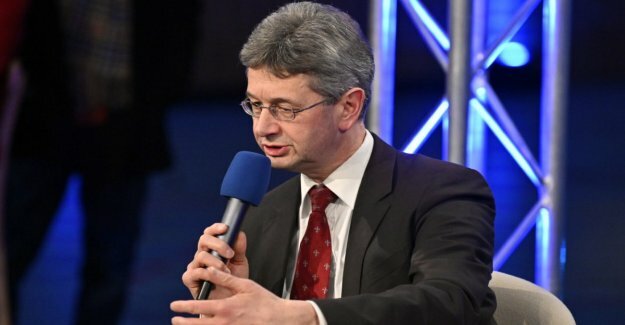 Almost a year and a half after his assumption of office as Minister of culture Michael Piazolo from the Secretary-General's Post at the Bavarian Free voters. After nine years, this is now the right time, said Piazolo the German press Agency in Munich. Already in the past few months, he had led the office only Commissioner. The succession is still open. Piazolo explained its decision with three points. For one, this is after nine years of "a thing of normalcy" - in 2010, he took over the office of the Secretary-General. On the other, the two Items are bring hardly any time at all. And finally, it is difficult to simultaneously be the Minister in a coalition government and the Secretary-General. In the office, you would have to start eventually, sometimes even party-political advances. "That doesn't fit quite so well together in a coalition."